Every SEPCO solar LED lighting and power system provides the best quality system to meet the needs of the customer. SEPCO takes into consideration the geographical location and lighting design requirements for every project system design. Learn about the many different applications for our solar LED light and power systems to see what type suits your needs best. This ranges from large roadway lights to smaller sign lights and remote power systems. Learn more about our different products with our complete systems overview with specifications for each type of system. The specifications can be easily filled out and sent in via email to get your quote quickly. SEPCO's project portfolio shows examples of some of the many projects that have been installed all over the world over the last 20+ years. Click through and discover the many options available. 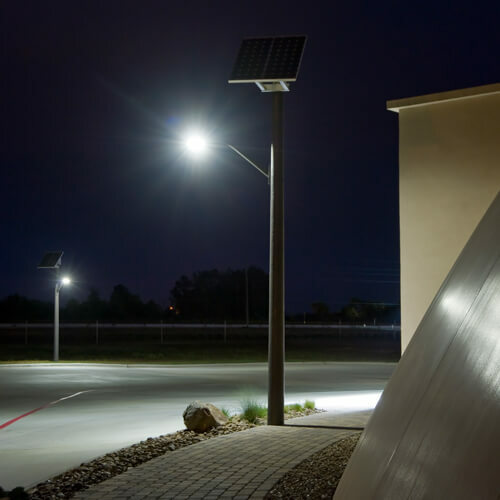 Solar LED lighting solutions from SEPCO and Hubbell Lighting offer civilian and military applications added security, huge energy savings and undeniable sustainability. SEPCO recognizes that there is no one size fits all solution for exterior lighting and that each customer requires unique considerations. 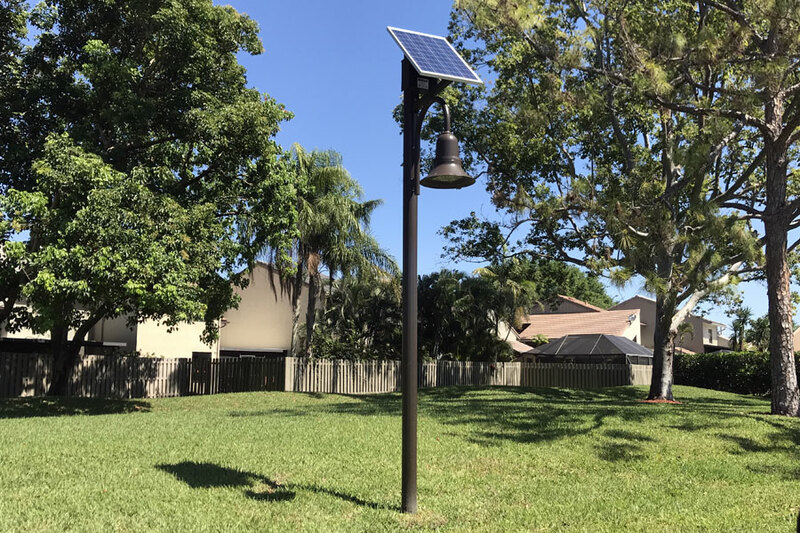 As the pioneers in the solar lighting industry, we are uniquely equipped to meet needs from lighting design, education, engineering, installation assistance and ongoing customer service. We know what solar lighting solution best suits your application, no matter the industry or geographic location. The availability and cost of energy, new infrastructure and many government financial incentives make solar the bright choice. 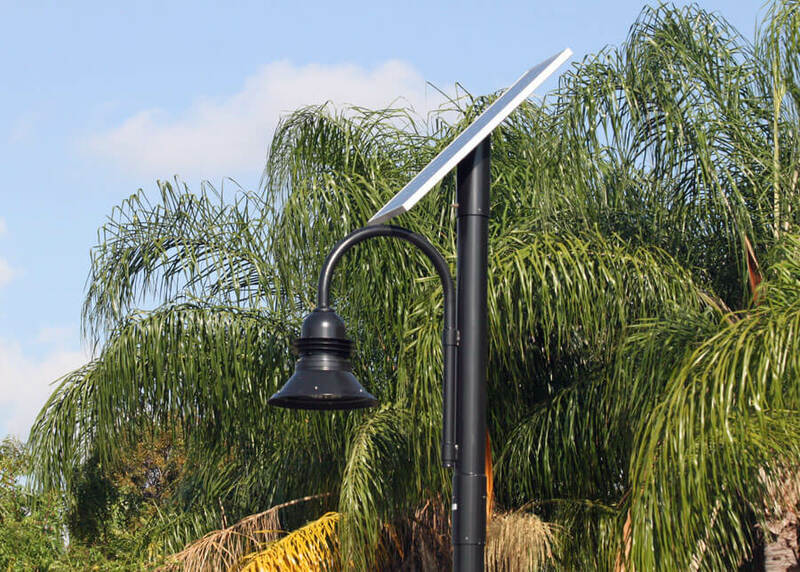 We offer a broad array of solar powered LED luminaires that provide reliable performance and maintenance free operation, coupled with the long life of a solar power assembly. Protecting property, people and assets is the job of exterior lighting. 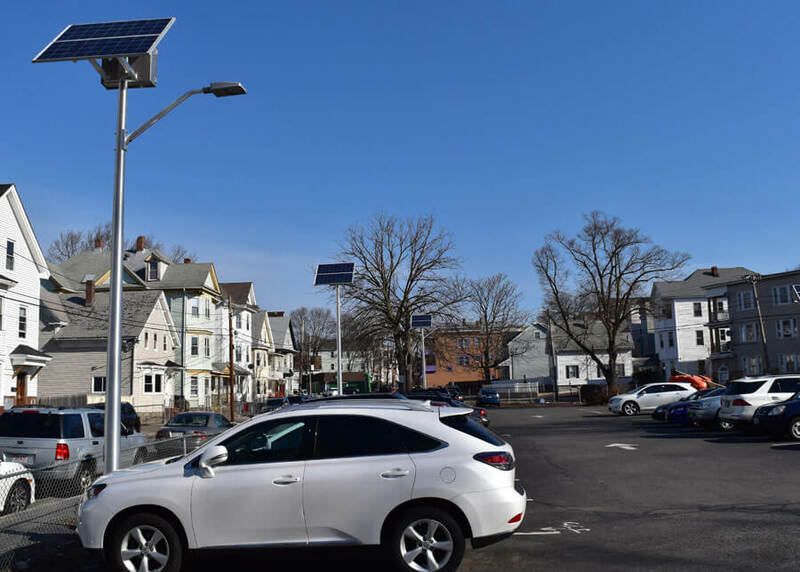 Solar LED lighting not only offers better visibility and ward off potential threats, but it also offers security from brownouts and blackouts. Energy savings are natural with solar LED lighting systems. Sunlight is plentiful and photovoltaic panels can harvest energy where grids don't reach. Low maintenance and ease of installation are the cherries on top of the energy savings. There is not a more renewable resource than the sun. Capturing its energy to light up dark buildings and roadways is a great way to honor our resources. Ease of installation makes adding light to fragile environments a lot less hassle and harm. SEPCO wants to help you save energy costs and go greener with your next exterior lighting project. 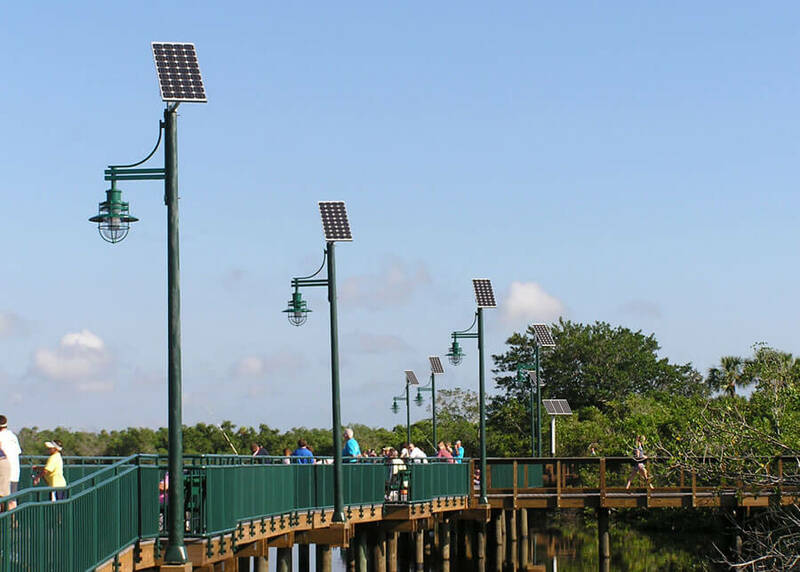 Our lighting designers will assist you in choosing the right illumination levels and luminaires from our broad selection of solar-ready LED fixtures. Solar Power Systems sized for each project location. Every SEPCO solar power system is built to meet the requirements of the project using local solar insolation and length of night for worst case scenario operation for flawless operation year round. High Powered LED Light Fixtures provide better light. SEPCO has a wide range of fixtures available to meet every project requirement. With our partnership with Hubbell Lighting brands, our solar lighting systems can easily adapt to your needs. Custom Control Electronics provide light when you need it most. Our systems are designed with a standard set of controls to provide lighting as the project design parameters require and are always sized for winter nights for dusk to dawn operation. Light Plan Engineering. Our on staff engineering team can help design your lighting plan by using standard IESNA lighting levels and your digital files. From small signs to large parking lots, to complete developments, our engineers can handle it.